As a website owner, you know your site needs to be fast. You’ve read all the articles about how to make WordPress faster and which plugins to install to accomplish this. You’ve probably added a caching plugin, hopefully WP Rocket, and now you want to know how much benefit you’re getting. 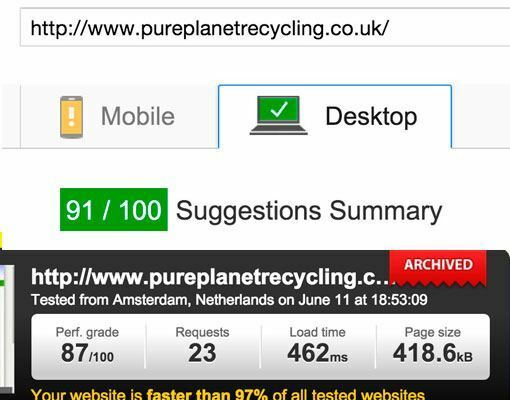 After adding caching to your site, you might be expecting that your PageSpeed grade will be near-perfect. Or you’ll look at the recommendations and wonder why your caching plugin hasn’t fixed them all, automatically. A lot of customers ask us why their PageSpeed grade isn’t higher, or they assume that because it didn’t increase a lot, it must mean WP Rocket isn’t making their site faster. Your Google PageSpeed score does not matter. That’s right, I said it doesn’t matter. The purpose of WP Rocket is to make your site faster. Speed, i.e the loading time of your site is the most important metric. This is what counts for user experience and for SEO. When the Google bot crawls your site, it cannot see your “grade”, only your speed. 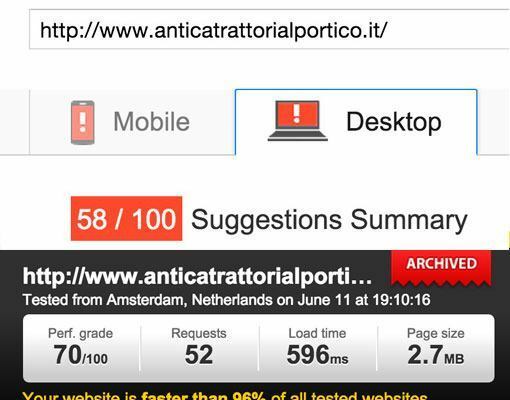 Did you know that Google PageSpeed doesn’t even measure the loading time of your site? Think back to your school days. Did perfect grades mean you were smart? Not necessarily. It just meant that you knew how to do well on tests. But many intelligent people simply not do well on tests. So just like school grades are not an indicator of intelligence, Google’s PageSpeed grade is not actually an indicator of speed. 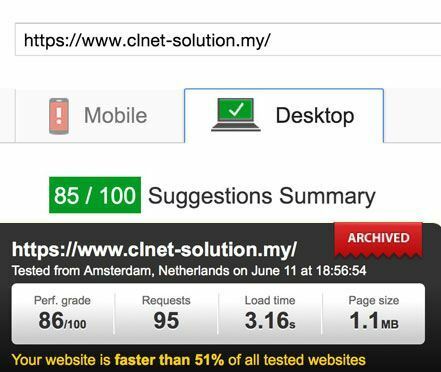 Between these 3 sites, the loading time ranges from 465 ms – 596ms but the PageSpeed scores range from 58 – 91. So you can see from these examples that the Google PageSpeed grade is not an indicator of speed. No site gets a perfect grade, in fact it’s pretty much impossible to achieve, and since it doesn’t correlate to speed, why bother? If you try an attain a perfect grade, by implementing all the suggestions Google PageSpeed makes, you will lose your sanity pretty quickly. You cannot take too literally all of the suggestions from Google PageSpeed because sometimes they are unrealistic or impossible. For example, it may tell you to minify or add expiry headers to a file that is not hosted on your website. This is impossible. In the below example, only Facebook and Google themselves can add browser caching to these files. If you use a CDN on your site, PageSpeed might give you a lower score for that, but in many cases a CDN provides better speed for your international visitors. Or if it is marking you down because you could save 1kb by compressing an image (see below), it’s not worth bothering about! If you have activated JS minification in WP Rocket, as of v2.6 we auto-detect whether JS files should be loaded in the header or the footer, based on how their developer enqueued them. “JS files to be included in the footer during the minification process” and enter the original, full urls of your JS files. If this doesn’t break any functionality on your site, it may help your PageSpeed score. Also remember to test the effect on the speed of your site. WP Rocket does not have an option to load CSS in the footer, because it would cause your site to load without any styles, making it look broken and providing a terrible user experience. Google suggests you can “Optimize CSS delivery“. Essentially they want you to separate out the CSS needed to render the first part of your page and embed it directly into the code of your page, rather than in the main stylesheet. So as you can gather, if you are not a developer, this is pretty hard to do and involves re-coding parts of your theme. It will also vary from site to site, so it’s not something that can be made into a one-click solution in a caching plugin. If you are a developer, or have one at your disposal you can ask them to implement this technique. It won’t necessarily improve the overall load time of your page, but it will increase your PageSpeed score, and may appear to load faster because the elements at the top of the page will load sooner. This type of micro-optimization is utilized by sites like Amazon where a 10ms difference may impact their bottom line. For most small sites, it’s unlikely to have much impact. So What Is PageSpeed Good For? Google PageSpeed can be helpful as long as you don’t treat it as the be-all, end-all. Sometimes it can alert you to problem areas on your site that you can address. For example, it might alert you to the fact that your content is not being GZIP-ed. WP Rocket adds the rules for GZIP by default so if PageSpeed gives you a warning, this might be a sign your server does not have it activated. So it’s best to look at PageSpeed as one of several tools in your arsenal that might provide some pointers, but your goal should always be to improve your actual speed, not your “PageSpeed” grade. Do not blindly trust Google PageSpeed or take it at face value. Always read the recommendations carefully and assess if they are possible and worth your time. If it’s asking you to do something impossible, you should ignore that! Don’t forget to always focus on speed and don’t worry about chasing a grade. 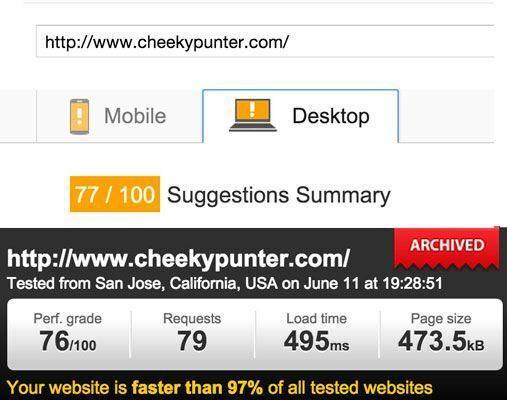 Always use an actual speed testing tool like Pingdom to see the impact of any changes you have made on your site.